All Greenline models were designed by J&J Design Studio. This world’s leading production yacht design studio was founded in 1983 by brothers Jernej and Japec Jakopin and produced over 300 designs for 55 yards from 22 countries giving birth to over 60.000 production sail- and powerboats – winning close to 100 Boat of the Year, Design and Environmental awards. 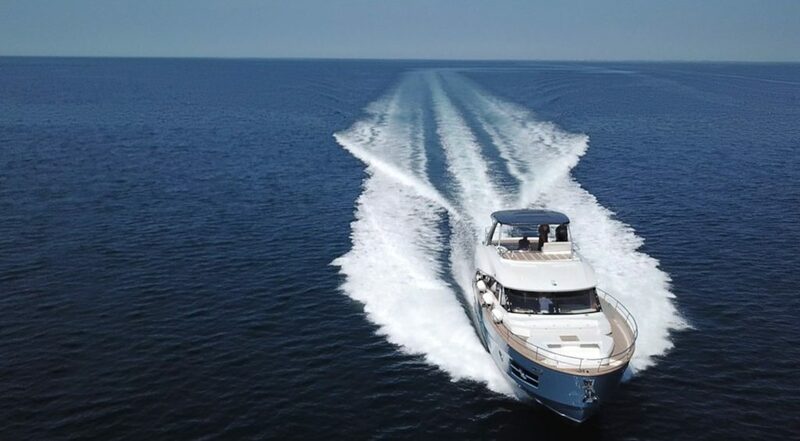 Greenline Yachts models are tooled using high-precision 5-axis milling machines and model-shop/tooling technicians with extensive knowhow and experience based on building the tooling for world’s most renowned yards. The very sophisticated tooling used is the base of a very efficient and streamlined production process – arguably one of the most advanced worldwide. 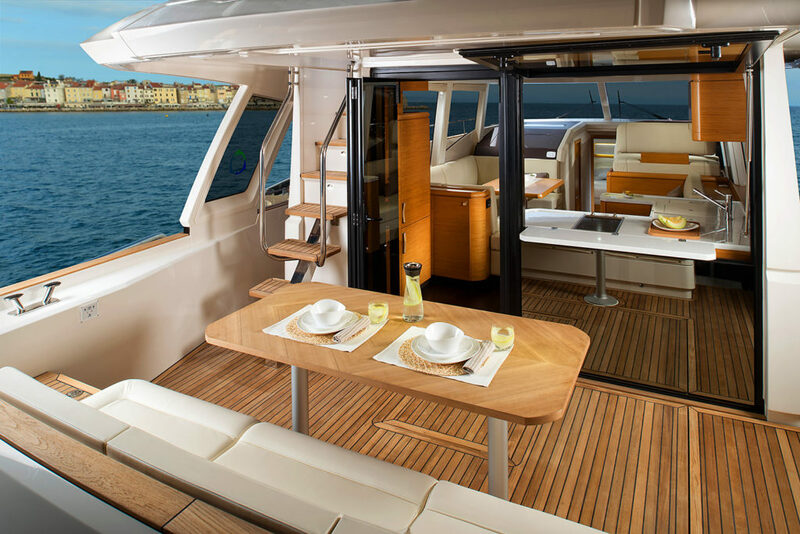 Greenline Yachts have adopted the vacuum infusion technology since it’s inception. Compared to traditional hand lay-up there are several benefits such as optimal amount of resin used in the process resulting in optimal weight and stiffness, higher quality of materials used (osmosis proof vinyl ester resin) as well as being environmentally friendlier. Tradition and experience means a great deal in boat building. A boat (sailing or power) will always be, at least at decisive stages, a hand made product therefore craftmanship is of great importance. Greenline Yachts are built by one of the most skilled and experienced craftsmen based on centuries of local boatbuilding tradition and over half a century of composite boatbuilding experience. 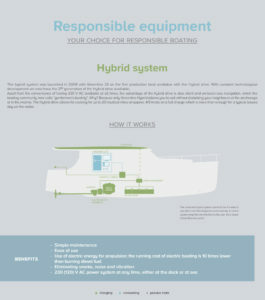 Revolutionary super displacement hull which reduces drag, creates less wake and requires less fuel. 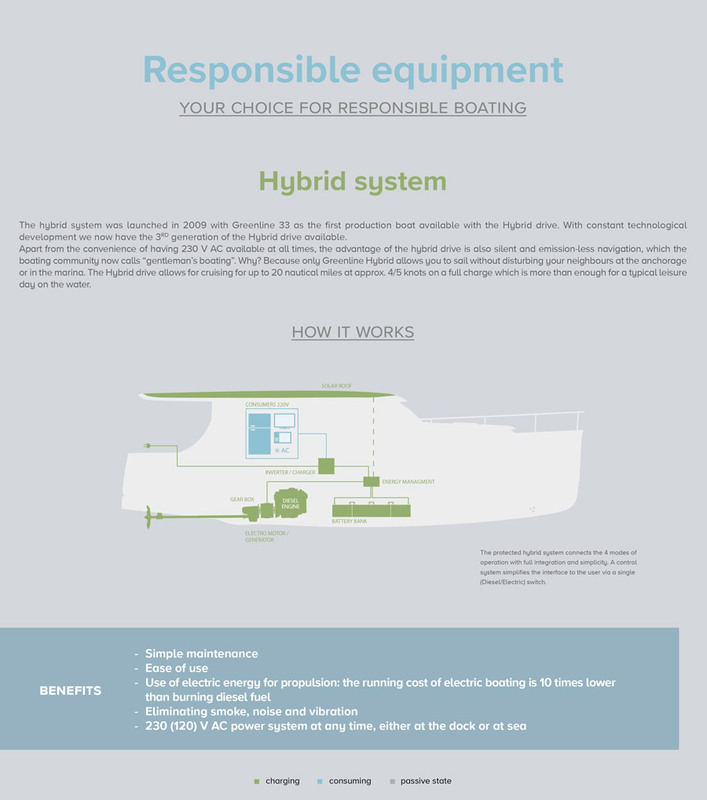 Featured hybrid system with range of approximate 20 nautical miles on electric drive. Traditional diesel motor supplements this hybrid system. 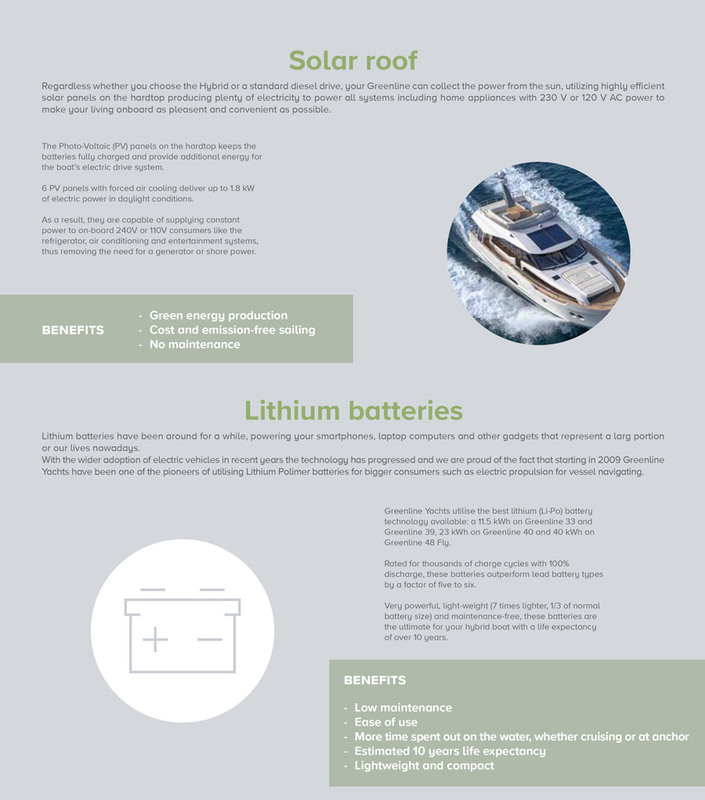 Greenline yachts offers clean electric energy without noise and smoke while enjoying drastically reduced fuel consumption. 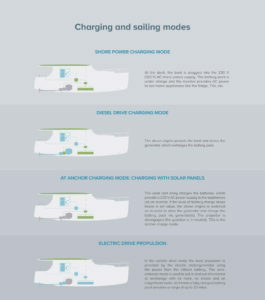 Greenline yachts is the largest marine hybrid fleet in the world. 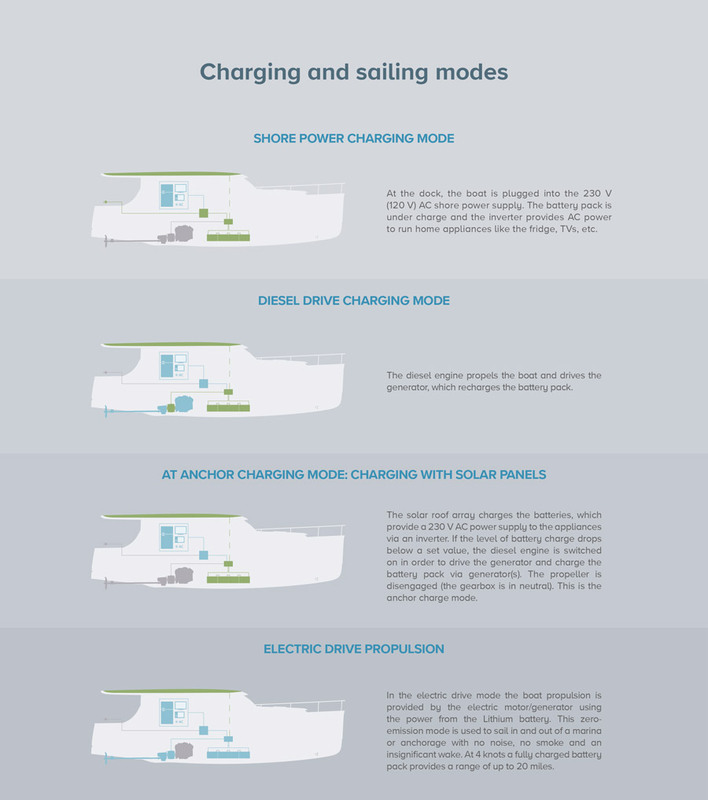 Solar panels provide full energy to on-board equipment while docked and infinite cruising at speeds of 2-3 knots. Greenline yachts seaworthiness (class B certified yacht, built to withstand winds up to 34-40 knots and waves of 13-20 ft). Full warranty and certification system as well as top class dealer and hybrid service support. 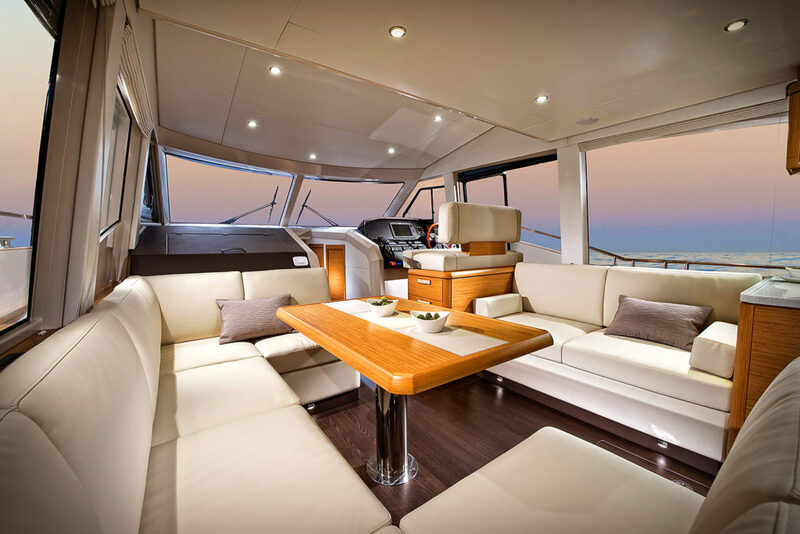 Maintaining the comfort and convenience both on deck as well as down below at the highest level across the whole Greenline Yachts range is of the most importance to us. The excellence in styling attracts even the most demanding and experienced boaters. Greenline models accross the range share some common principles. One of them is natural light and a 360° panoramic view in the salon making living onboard pleasent and comfortable for the whole family. We pride ourselves in having one of the most comfortable and safe range of boats available on the market. The Greenline concept puts comfort and convenience at the top of our priority list making it easy to move around as there is not a single step to overcome from the bathing platform to the helmsman’s position. Even the Greenline 48 Fly and our flagship Oceanclass 65 only have two steps from the platform to the cockpit level. This is truly unique on a high-volume yacht and ensures a very low center of gravity, which means stability. The fuel consumption per nautical mile is much lower than that of a comparable displacement hull and as little as one quarter of a semi-displacement, twin engine planing boat. This revolutionary hull efficiently covers the speed range from zero to over double displacement speed – up to 18 knots in case of a 10 meter waterline and up to 25 knots in case of a 12 meter waterline. With twin stabilisers on the Greenline 33 and 40, it has unmatched anti-roll and tracking stability. It offers a comfortable and safe ride in all weather conditions, faced by a head-on, side or following sea.